2013 GMC Savana G2500 Cargo with the powerful and reliable 4.8L V-8, automatic transmission, power windows and locks, backup camera, roof rack, inside racks, and 85k miles. 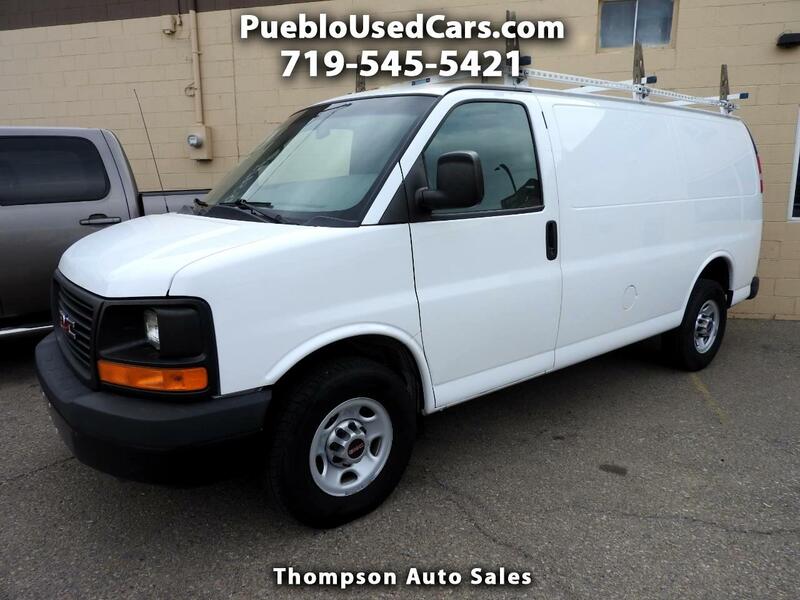 You can view photos of this 2013 GMC Savana G2500 Cargo on our website at PuebloUsedCars.com. The interior of this 3/4-ton Cargo Van is cloth and in great shape and all of the power options work properly. The exterior of the Cargo Van is in good shape. If you want a sharp, strong running 3/4-ton cargo van at a price that won't break the bank this 2013 GMC Savana G2500 Cargo will not disappoint. Give us a call with any questions at 719-545-5421 or stop down and see us in person at Thompson Auto Sales - 525 W 5th St in Pueblo, CO. Message: Thought you might be interested in this 2013 GMC Savana.